Hydroponics is a hot-button issue that has split the organic foods industry, with one side advocating for soil-based organic production only and the other citing ambiguity in federal regulations that should allow certification of soil-less growing operations. The NOSB, a 15-member panel of experts recommending organic policy to the USDA's National Organic Program (NOP), uses the term bioponics to describe food production systems that grow crops without soil using solid and liquid fertilizers that are allowed in organic farming. Aeroponics - proposal opposes allowing aeroponic production systems to be certified organic because they do not meet the requirements of OFPA or the Organic Rule. Aquaponics - proposal opposes allowing aquaponic production systems to be certified organic at this time. If aquaculture standards are issued in the future, and concerns about food safety are resolved, aquaponics could be reconsidered. Container production - proposal would allow container production to be certified organic as long as a limit of 20 percent of the plants’ nitrogen requirement can be supplied by liquid feeding, and a limit of 50 percent of the plants’ nitrogen requirement can be added to the container after the crop has been planted. For perennials, the nitrogen feeding limit is calculated on an annual basis. Transplants, ornamentals, herbs, sprouts, fodder, and aquatic plants are exempted from these requirements. Hydroponics - "Motion that any container production system that does not meet the standard of a limit of 20% of the plants’ nitrogen requirement being supplied by liquid feeding, and a limit of 50% of the plants’ nitrogen requirement being added to the container after the crop has been planted is defined as hydroponic and should not be allowed to be certified organic." So, while a "yes" vote for the proposal may put the hydroponics issue to rest, organic farmers will still stage a protest. 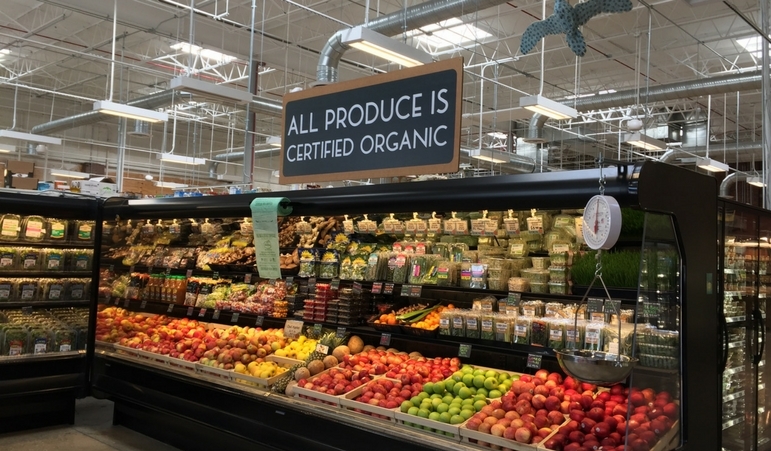 "I believe it is our duty as organic farmers to defend the integrity of what has been handed down to us by our forebears," said organic farming pioneer Eliot Coleman in a letter to organic farmers announcing the rally. "The protection of that heritage is a responsibility that I don’t take lightly. The importance of optimal soil fertility as the bedrock of organic farming has to be transmitted accurately to future generations, so they can continue this effort. Since the USDA refuses to stop this hydroponic/organic fraud, I am asking all serious organic farmers to take effective action themselves." The rally and protest is scheduled to kick off Oct. 31 just after lunchtime at the Omni Jacksonville Hotel, where a march will begin to The Landing, an entertainment venue on the St. John's River. Speakers at the rally will include: Eliot Coleman, Fred Kirschenmann, Enid Wonnacott, Jim Riddle, Will Allen, Dave Chapman, Anaise Beddard, Tom Beddard, Linley Dixon, and Lisa Stokke.